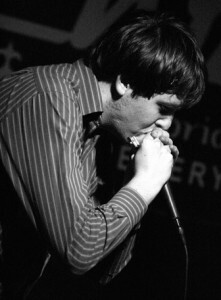 One of the finest harmonica players of his generation, Will Pound has appeared on TV & Radio many times including appearances on BBC Breakfast, BBC2, Radio 2, BBC Radio Scotland, BBC Radio 2 Folk Awards, MTV, Radio 1xtra to name a few. He has been nominated 3 times for the BBC Radio 2 Folk Musician Of The Year Award in 2012, 2014 and 2015, has won FATEA Magazine Instrumentalist Of the Year 2013, 2014 and also was nominated for Songlines Magazine best newcomer. Will also played on the famous Hillsborough Charity Single which reached No 1 in the charts at Christmas in 2012.